What's the best way to lure a reporter to a press conference? "We've got beer and pigs. 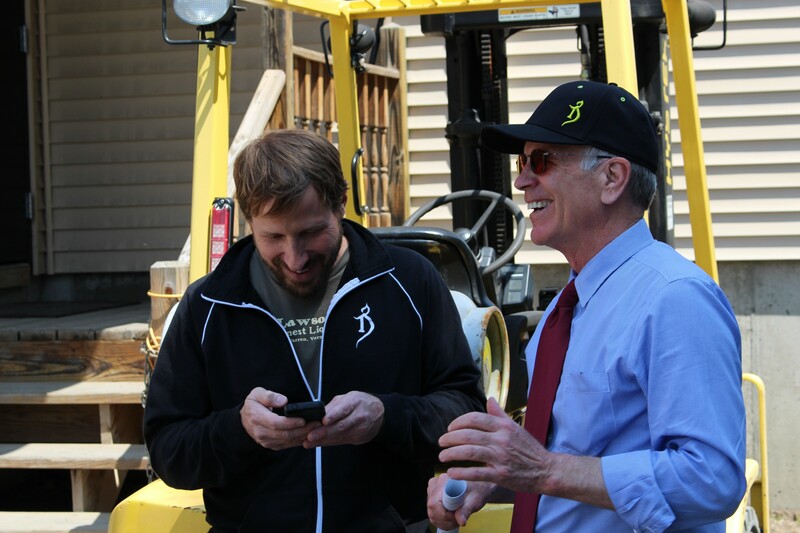 It doesn't get any better than this," Congressman Peter Welch (D-Vt.) said Wednesday afternoon as he warmed up for a press conference focused on, um, Heady Topper. That's right. HEADY TOPPER. HEADY TOPPER. HEADY TOPPER. Bam! Watch this post land in the most-read box next week. Specifically, Welch descended upon Waterbury's Alchemist cannery around lunchtime (Hey, it's five o'clock somewhere!) to highlight his heroic efforts to keep idiot government bureaucrats from driving up the price of the Alchemist's heavenly double IPA. Since the time of George and Martha Washington, Welch told reporters, brewers and distillers have fed farm animals spent grain produced during the mashing process. "It's a longstanding tradition of a very environmental way of dealing with this byproduct of the brewing process," explained Alchemist co-owner and brewer John Kimmich, who provides 25,000 to 28,000 pounds of spent grains to Waitsfield farmer Hadley Gaylord each week. But, Welch said, "That is under threat now." After passage of the Food Safety Modernization Act of 2010, the Food and Drug Administration came up with what Welch called "a pretty crackpot idea" to require brewers to dry and package spent grain before delivering it to farmers. That's got Welch hoppin' mad. "George Washington brewed whiskey at Mount Vernon and he fed to his hogs the spent grain that he used," Welch said. "And the question I have is that if it was good enough for George and Martha Washington, why isn't it good enough for John and Jen Kimmich?" The new FDA rules would make it cost prohibitive for the Alchemist to send its refuse to Gaylord's farm, Kimmich said. That would hurt both business' bottom lines — and it would totally bum out the cattle who consume it. "Your animals like this stuff, right?" Welch asked Gaylord. "They love it," the farmer said. "They love Heady Topper," Welch said. "They love the beginning of Heady Topper," Gaylord clarified. "They do. They come running for this stuff." Bro, we know how they feel! "It's a very clean product. There's no dirtiness or nastiness to it," Gaylord said. "When we feed it to the cattle, literally, it must be like candy to them. They just come running when they see me and when they hear the truck." Like a bunch of bearded twenty-somethings when the Alchemist delivery truck pulls up to Pearl Street Beverage. 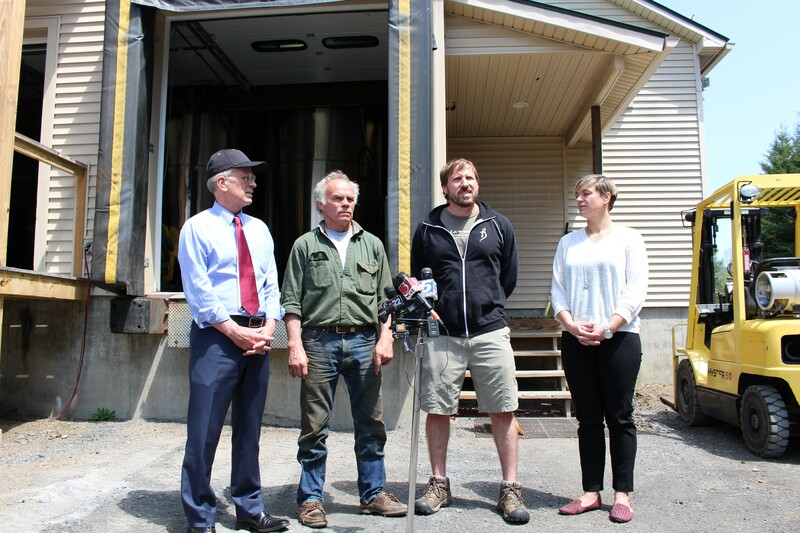 To address the situation, Welch said, he and a bipartisan crowd of 54 members of Congress signed a letter to FDA Commissioner Margaret Hamburg calling on her to exempt breweries and distilleries from the proposed rules. Welch also co-sponsored legislation to accomplish the same goal; the bill was authored by Rep. Steve Womack (R-Arkansas), who Welch described as, "A conservative Republican who likes beer and farmers, just like me." According to Welch, the FDA has come up with "a solution in search of a problem." 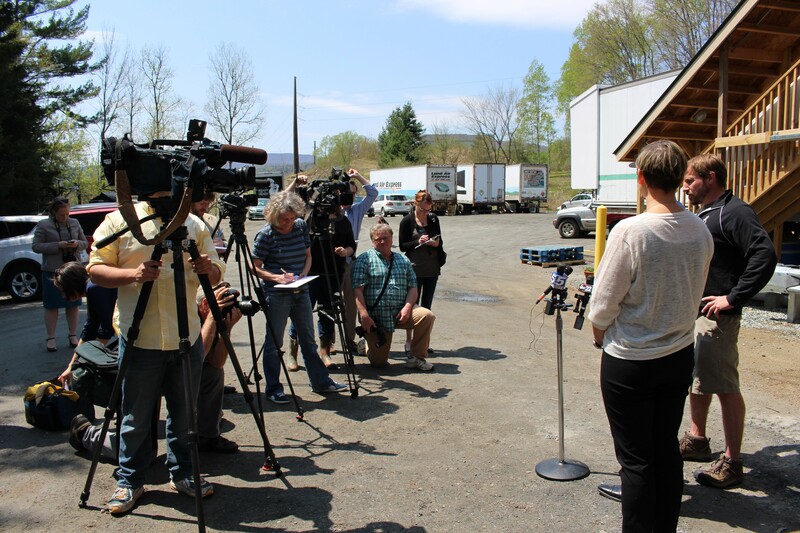 But as WCAX-TV's Kyle Midura pointed out during the press conference, Welch's letter and legislation might be the same. "Congressman Welch, are you aware that on the FDA's website, they basically say they're not going to be requiring the drying or the prepackaging?" Midura asked. "They're just fine with allowing this to be shipped as is." Indeed, in a FAQ posted on April 25, the FDA wrote, "The rule as it is currently proposed would not require specific actions, such as drying and packaging spent grains." The rule is "flexible," the FAQ says, and allows brewers to "utilize controls already in place that fit their products and operations, as long as they are adequate to significantly minimize or prevent all animal food safety hazards that are reasonably foreseeable." In a letter dated April 24, FDA Deputy Commissioner for Foods and Veterinary Medicine Michael Taylor wrote, "We’ve heard from trade groups and members of Congress, as well as individual breweries raising concerns that FDA might disrupt or even eliminate [the practice of distributing food byproducts to farms]... That, of course, would not make common sense, and we’re not going to do it." Welch sounded surprised by Midura's question, but he framed it as a sign of success. "Well, I'll tell you something: We have them on the run," Welch said. "There has been an enormous uproar among my colleagues... So if this is on the website, that's good news for us." He added, "I think the FDA, hopefully, is getting the message, and that's an indication they are." Disclosure: One Heady Topper was consumed during the reporting of this story. Also, Paul Heintz worked as Peter Welch's communications director from November 2008 to March 2011.